Victor Arias boasts more than 18 years of executive recruitment experience with several of the world’s most preeminent search firms, the last seven with Korn Ferry. His specialties include board of directors, higher education, consumer, and real estate. Prior to executive search, Arias spent 15 years in the corporate and commercial real estate business as a vice president at LaSalle Partners (now Jones Lang LaSalle) in Chicago and later as executive vice president for the Las Colinas development. From 2001-2016, he served on the board of directors of Popeyes Louisiana Kitchen (NASDAQ:PLKI). He is a trustee emeritus for the Stanford University board of trustees, prior member of the Stanford GSB Advisory Council and current member of Stanford Associates. 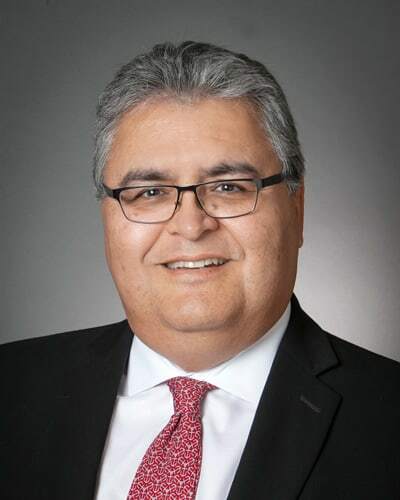 He serves on the UTEP Leadership Council and is a past White House Fellows Commissioner, past national president and co-founder of the National Society of Hispanic MBAs, and prior member of the Notre Dame Institute of Latino Studies board. Arias earned his MBA from Stanford University and BBA from University of Texas at El Paso where he was named Distinguished Alum in 2009.